The land-locked nation of Central African Republic has had a rough go of things since it gained independence in 1960. That does not mean it is cut off from modern realities however, mobile service being among them. The government has forced a shut-down of SMS services throughout the country across the four mobile network carriers in the wake of, and apparent planned continuation of violent demonstrations in the capital of Bangui. 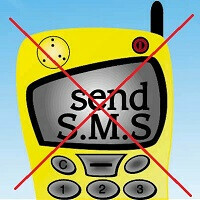 Organizers of work strikes used SMS to coordinate activities in protests against violent responses by the government. Central African Republic has seen thousands killed and millions displaced amidst a swelling of chaos since last year when a coup overthrew the government and ethnic-religious scores started to flare up. People that attempt to send a text message receive a notification that says “SMS not allowed.” The ban is in place indefinitely and sadly things are not looking up even as the government has switched hands again and the UN peacekeepers are not able to keep things contained. Unfortunately, Central African Republic borders with the Democratic Republic of Congo which has been engulfed in its own civil war for decades. Both countries are rich in minerals that is used widely in technology and consumer goods. This kind of shut down of network services is also an ominous indication of what could potentially happen anywhere with the flick of a switch. Will an SMS shut-down do anything to quell tensions in Central African Republic? We suspect it will not have any lasting effect. Hangouts, WhatsApp? They should work in the local 2G network. Have you ever thought that many people there may not have data plans or smartphones? Not even 2G? Because that's probably why the use SMS instead. If only the Central African Republic would follow the example of the Republic of California and mandate phone to have a kill switch it wouldn't have to disable SMS. America leading the way with innovative solutions yet again! This will just make people angrier as another sign of the government oppressing its people.